One of the things I love about this industry is that it’s constantly evolving. I believe the media industry is at the cusp of some of the most significant and rapid change we’ve seen in decades. And we are already seeing the early opportunities that this new paradigm brings. Consolidation within the industry shows no sign of stopping; most recently Charter’s planned acquisition of TimeWarner as well as Arris|Pace merging. Typically, with consolidation naturally comes a period of settling down and in some cases a loss of focus. Interestingly, it was during a conference whilst talking to a number of silicon, middleware and device vendors that they commented to me that Irdeto was one of the few remaining thoroughbred security companies left. The focus of the company remains squarely around security and how security protects not only the platform but the value of the operator’s brand, content and their assets. A common reason often cited for consolidation is being able to have the coverage or scale for the future. And without a doubt innovation is essential. But in my experience for a company to thrive it needs to blend today and tomorrow’s solutions seamlessly. Let’s take traditional media delivery for instance. It isn’t going away; it will be augmented with OTT but it is still there offering great quality content both live and VOD. This dual need was confirmed to me in a recent customer meeting. The CTO observed that Irdeto has a strong security reputation and rich heritage in media protection but clearly demonstrates thought leadership by showing how security underpins future solutions in an innovative way. As you know from my earlier post, operators are moving to a more open environment to give them flexibility going forward. They want to break-free from traditional vendor lock-in as they feel it impacts their competitiveness and negatively affects time to market. Operators no longer want to have to manage multiple suppliers. They would prefer to work with one trusted security partner to do the heavy lifting, enabling operators to concentrate on running their business. They want to partner without lock-in! Customers have confirmed to me that to be considered as a trusted security partner, independence is important. So too is the attitude of the organization. 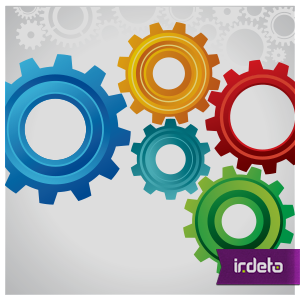 The company must have a flexible, agile approach with Irdeto being recognized as an organization that is “easy to do business with”. As other opportunities for new platforms emerge, what is clear is that security will be paramount. This entry was posted in Media & Entertainment and tagged Irdeto, OTT, pay-TV operator;, security, vendor lock-in. Bookmark the permalink.